There is nothing like local action to get the attention of politicians and policy makers. The voice of constituents should speak loudest to the people who represent them. The goal of this defense guide is to make it easier for local groups to speak to their representatives in government. When the legislature isn’t in session, senators and representatives are often back in their home states/districts. That means that you can show up to town halls and ask about issues. It also means you can set up in-person meetings to talk to them about your concerns. Net neutrality is in an interesting place. The resolution to restore the 2015 Open Internet Order—and overturn the FCC’s repeal of net neutrality protections—has already passed the Senate. That means it’s now up to the House of Representatives to pass it. Under the Congressional Review Act, the House must vote by the end of this session—effectively by the end of 2018—to do this. So it’s imperative we make clear to the representatives how important net neutrality is. To that end, EFF has prepared this defense guide designed to help local groups and individuals take advantage of the fact that representatives will be home while the House is on recess. Groups can use these materials to help members act directly or to set up their own group campaigns. Thank you for your work in keeping the Internet open and free! During recesses, representatives are often back in their home districts. You can see the full 2018 calendar here, but it shows that the House of Representatives have much of the month of August off. That gives you the chance to interact directly with them and see that they hear from your community, which is also their community, about net neutrality. The first thing to do is to look up your representative and then visit their website. That website will have their office addresses and contact information, for both their offices in Washington, D.C. and in their home state. The local district office is a great resource during recesses, since they will know your representative’s schedule and the staff there will pass along what you said to the representative. One of the most powerful ways to talk to a member of Congress is to attend their town hall meetings and speak to them directly. These are announced through the member's online newsletter (which you can subscribe to by visiting their website) or your local paper. Town halls are typically announced 1 to 3 days before they are hosted, so you need to be vigilant. The local staff will often have advanced knowledge of their boss’ scheduled public events, so you can also call your local district office and ask. If you are unable to attend a public event with your local elected official, then meeting with staff at the district office or in Washington, D.C., is a great alternative way. District offices can be more convenient for you—depending on how far Washington, D.C. is from you and how much you can plan to travel. Meetings can be set up at any time simply by calling the office. Just make sure you are calling the right office because they will only want to hear from the people they directly represent. When you make the call and set up the meeting be sure you tell them which organization you represent or if you’re a solo concerned citizen, where you live, and the issue that you want to discuss. Quality is important: the more personal the communication, the more impact it has on the elected official's thinking. You do not have to be an expert on an issue for it to matter to your representative, you just have to show that you care. After your meeting, send a polite and gracious thank-you email to the person who met with you. In your email, be sure to include information that you want your representative to consider. For more information on how to set up and prepare for a meeting, see our page on contacting Congress. Why does net neutrality matter to you? Do you telecommute? No matter how simple the story, make it personal. 86% of Americans support net neutrality. 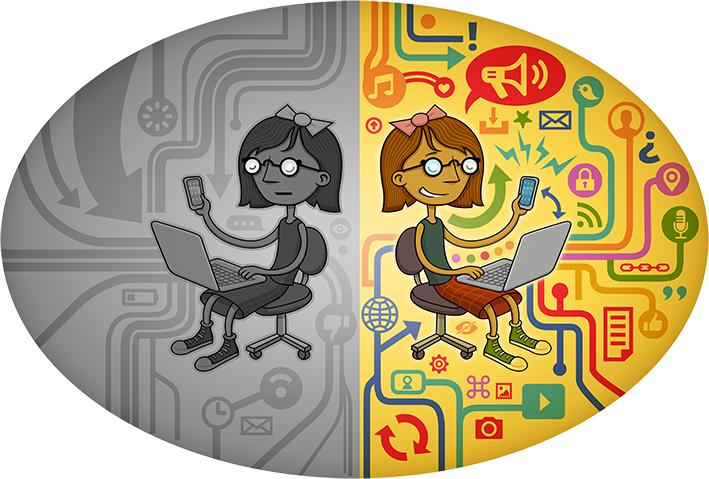 Net neutrality ensures that the Internet remains open and free, a level playing field when almost nothing else is. If ISPs can engage in blocking, throttling, or paid prioritization, they can decide what speech gets seen and what doesn’t. If the Internet is no longer a level playing field, new companies can’t compete with established Internet giants that can pay ISPs to shut out their competition. Voices that lack representation in traditional media depend on the Internet to spread their messages and organize. Without net neutrality, they will no longer be able to do that. “Net neutrality hurts ISP investment” – No, it does not. Comcast, AT&T, Verizon, and Charter all admitted that the 2015 Open Internet Order did not affect investment and/or increased investment in 2016. Low-income customers are more likely to rely on wireless Internet, which almost always comes with a data cap. That drives them to the content ISPs have don’t count against and incentivizes ISPs to offer plans with low caps. “Net neutrality prevents important services like telemedicine” – Not true. Net neutrality protections have always allowed reasonable network management to make things like remote surgery work as intended. What the rules ban is slowing down or speeding up traffic to services in exchange for a fee or to benefit their own services at the expense of competitors’. Remember to have a specific thing to ask for! When speaking to a member of the House of Representatives, ask them to sign the discharge petition that would force the vote on restoring the 2015 net neutrality protections. And also make sure they know you then want them to vote "yes" on Congressional Review Act. You can check your representative's position at Checkyourreps.org. If you want to find more information on net neutrality and counters to arguments made against it, visit EFF's net neutrality issue page. As your constituent, I'm writing in support of using the Congressional Review Act to save the 2015 Open Internet Order. As you know, the FCC recently approved Chairman Ajit Pai's proposal to gut net neutrality protections. The FCC not only voted to reverse the 2015 order that treats broadband Internet service providers as common carriers under Title II of the Telecommunications Act, but also abdicated its established role in defending the open Internet altogether. That decision cannot stand. It would give major telecommunications companies an unprecedented level of control over how we use the Internet. No agency would be able to effectively protect the public from unfair practices like site blocking, throttling, and slow lanes. Large cable companies claim to support the principles of net neutrality, but without a real regulatory cop on the beat backed by the authority of Title II, those claims are meaningless. I understand that multiple members of Congress have introduced or are planning to introduce compromise net neutrality bills. But Congress has a cleaner, faster path to real net neutrality: simply restore the 2015 Open Internet Order. Once net neutrality protections are restored, legislators can discuss next steps -- but without holding Internet access protections hostage in the meantime. A free and open Internet is essential for a free society. I urge you to defend existing net neutrality protections. Protect my rights, not ISP profits. Last year, the FCC voted to roll back the Open Internet Order, giving Internet service providers free rein to engage in unfair data discrimination practices. But it’s not too late: Congress can still save the existing net neutrality rules. Under the Congressional Review Act, Congress can reverse a change in a federal regulation by a simple majority vote within 60 working days after that regulation is published in the official record. In other words, Congress can vote to overturn the FCC’s rule change and bring back the Open Internet Order. The Senate has already done its part and voted to reinstate the net neutrality rules. Now we need the House to do the same. 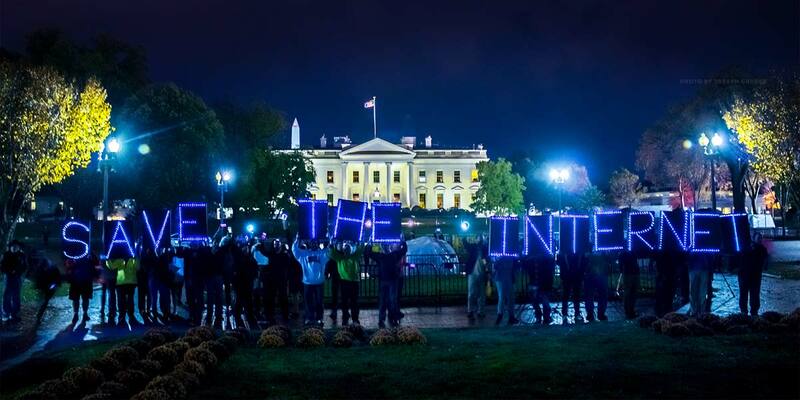 Please call Rep. ___________ and urge (him/her) to save the Open Internet Order. That’s it! The staff member will probably ask you for your name and some contact information. If you have time, you can also tell them why net neutrality is important to you—that it promotes an Internet where everyone can connect and speak out. You don’t have to be an expert, just be yourself. Spreading the word through Internet, print, television, and radio news outlets is a great way to engage your neighbors on net neutrality issues. You can get media attention a few ways: pitching to a reporter to get them to write about your issue, staging an event that is convenient for reporters to attend and cover, or writing an op-ed or letter to the editor. Each one will help encourage members of your community to get attention to support the fight for net neutrality. But if you don’t interact with journalists the right way, you could waste a lot of time or worse, do more harm than good. If you want to pitch a story or op-ed about net neutrality to the news media, it is helpful to have a newsworthy event or peg. 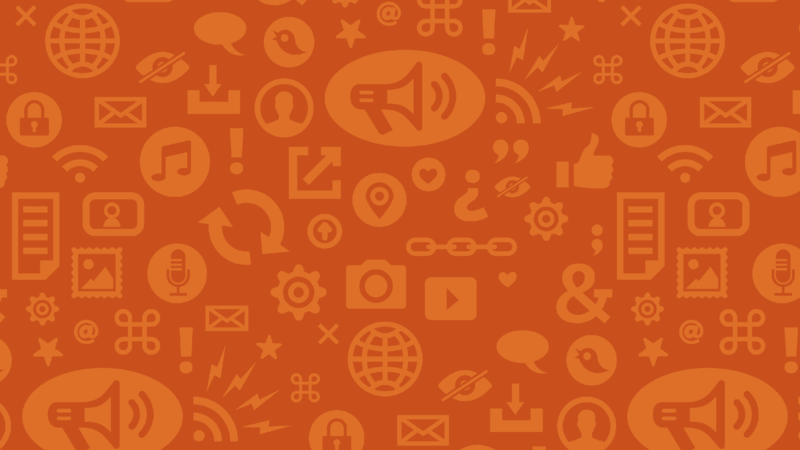 Stay up-to-date on the news to see what topics, events, or public figures are getting significant coverage in the news, then look for ways to hook that coverage to net neutrality. Tying your pitch or op-ed to a specific event in the news—local, national, or international—is probably the most effective way to get news coverage. Reporters are often looking for ways to put an issue in context and advance it past what other news outlets are reporting. If you are planning an event, that can be the peg. If you are having a rally or a panel about net neutrality, for example, you can contact press about it. Look at the websites for local and neighborhood radio, TV, newspapers, and popular blogs. Send text for a public service announcement to college radio stations, neighborhood newspapers, and your local news weekly. Any interest you get from the press—be it a reply to something you sent or a reporter reaching out to you—should get a quick response. Answer any questions promptly and clearly. If you leave them hanging, you are telling them you are unprofessional and not worth following up with. “Subject: Net neutrality is essential to local business success and keeping jobs in [your area]. Identify the reporters who have covered net neutrality, Internet, or technology issues and find their email addresses. 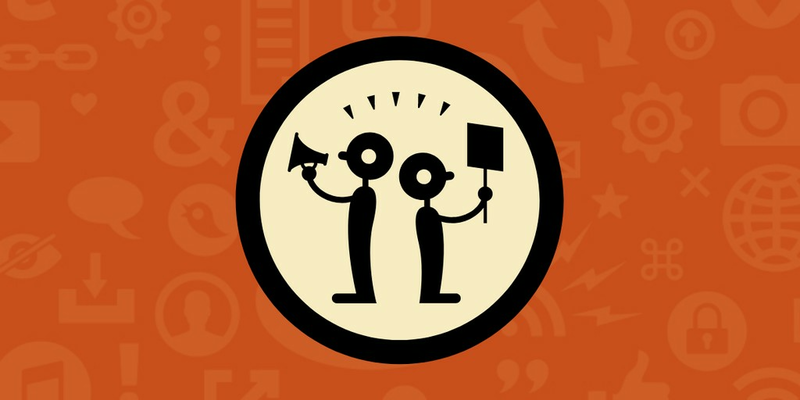 Use BCC for added privacy when sending to a group of reporters. You should post a media alert on the web that includes the basics: title of the action, where, when, what reporters will see, and contact information for organizers and some links to more information (e.g., blog posts or other analysis as well as to the organizers’ home pages). Don’t put up too many graphics or over-design it—make it easy to read and understand. If you emailed a reporter about an event and got no response, you may follow up with a phone call or email reminder about 24 hours before the start time if it's for broadcast. If you call, remember to ask whoever picks up the phone if they have time for your call, and then keep it short and to the point. For print or websites, follow up with a second, shorter email alert. If you emailed a reporter in response to news coverage and got no answer, don’t resend the email. But you should feel free to try again when there’s a new story to respond to. If reporters email you back to say “please don’t contact me again” or give other instructions for pitching stories, follow their directions. Always assume that you are on the record and everything you say is going to be quoted. If that makes you speak slowly and deliberately, all the better—it will give the reporter time to take notes and get clarification. Often print/web reporters will ask to record the interview. Generally speaking, this is a good way to ensure that the reporter quotes you accurately. However, if the reporter does not broach the subject first, you should ask whether it will be recorded. Where do I send these? Whether you get the instructions from a webpage or from emailing the editor, make sure you follow them exactly. Especially the word count. For example, the San Francisco Chronicle limits letters to the editor to 200 words and “commentary” to 700. Did the local paper have a recent story on net neutrality? Include it in your writing. It shows the paper that the public is responding to their work, which they like to see. If you can, point out why this is a timely issue. For example, the House of Representatives needs to vote on restoring the 2015 net neutrality protections by the end of this year, so time is running out. Try to also put a local spin on the issue. Is there a local villain or hero? Is a local official involved in a particular way? Has a local political figure said something about the issue you can include? You may live somewhere that only has one ISP or relies on telecommuting or remote medicine. That is why net neutrality has an impact on your community. The word limit means you won’t have space to get into everything you want, so think about the one to two most important points you want to make. The local and/or timely angle you’ve identified first can help you frame the rest of it. Your first paragraph should be short and punchy. The following paragraph should outline your most compelling point or example. This will get the attention of the editor looking at your submission and the readers. If you want to do a local campaign, the EFF images included here are licensed under Creative Commons Attribution 4.0 International License. The license terms are available here: https://creativecommons.org/licenses/by/4.0/. 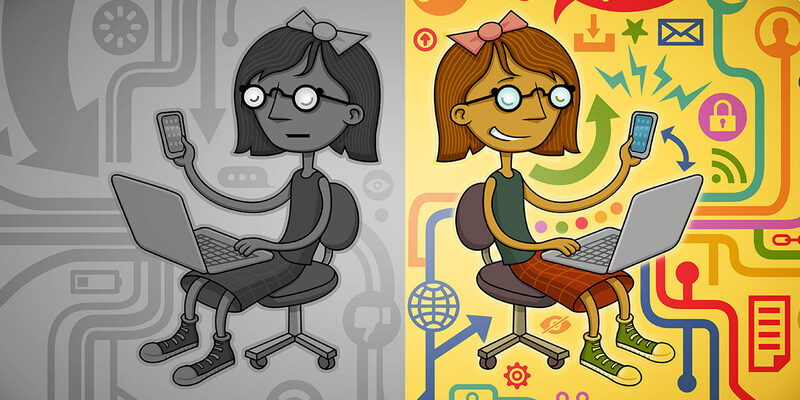 The images below are the ones EFF uses for net neutrality work.